I've decided to count down to the end of the blog with some of my favourite recipes provided by chefs, cooks and a few food writing friends from around the world. I swear, if there was smell-a-vision as an app, I'd install it with the these recipes. But since vision is the only thing we can rely on at this point, this will truly be a tasty, picturesque tour on what has been a pretty incredible ride with the blog. Not a bad way to celebrate the last days of A Hungry Man Travels, don't you think? We're starting off the countdown with a recipe called Three-Cup Chicken, just about the best Taiwanese dish I have ever made. Actually, it may be the only Taiwanese dish I've ever made. This is a seminal dish in Taiwanese cooking, and it came about based on the premise of cooking one cup each of chicken, soya and rice wine. This is merely one version of a recipe that really varies from cook to cook. This is the version I prefer for its flavour, simplicity and quick prep time to recreate in your own kitchen. I used what was in my own kitchen, but I always encourage experimenting with recipes to see what works out best for you. Give it a try. Believe me, your taste buds will thank you. Preparation Add 2 tablespoon of oil to wok, heat on high and add garlioc and ginger in oil to brown. Once browned, slide ginger and garlic up the sides of the wok. Add in chicken and sugar, and cook until meat is browned. Turn down heat to medium, and add remaining oil and pepper flakes. Stir in soya, and wine vinegar and cook until sauce is thickened. Total cooking time is twenty minutes. Turn off heat and add in basil leaves. 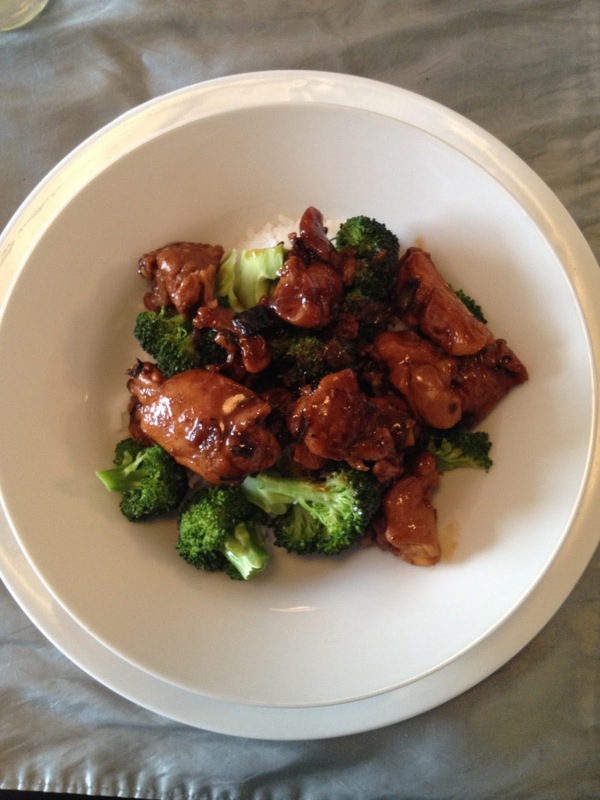 Serve With white rice and optional, steamed broccoli or bok choy.